not seen the film but loved the book and that was a lot of hair!! I love bowling....but am useless at it!!!! I've got enough length on my hair now for the "cut", just getting up my nerve. AND getting hubby used to the fact that it'll soon be gone. And just in time for summer too! What a happy page! 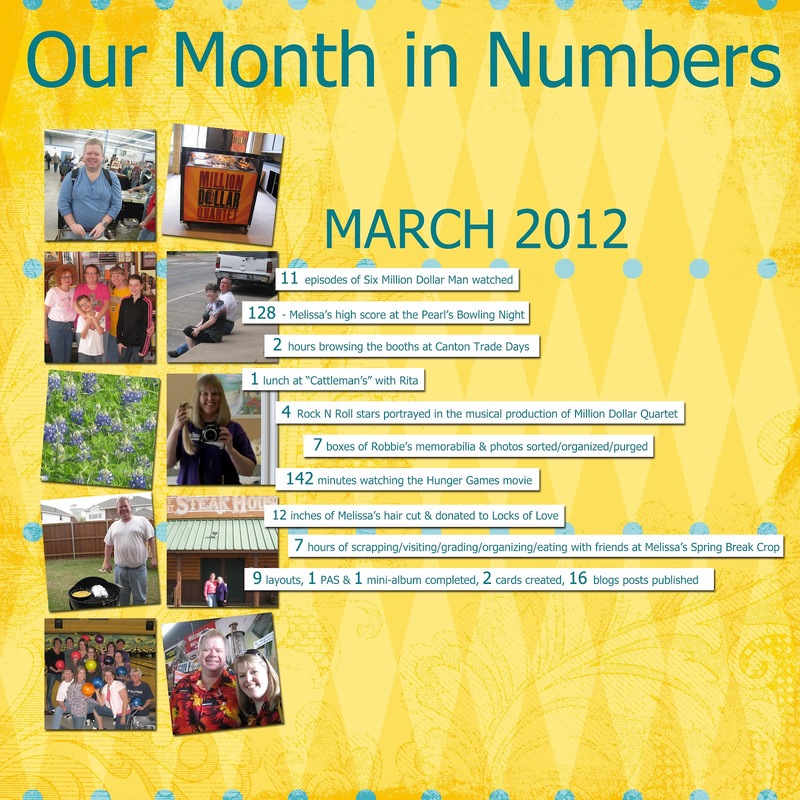 I love the photo placement on this layout, and love seeing what you've been up to each month. Gosh, you've been creatively very busy, Melissa! Have you really cut a foot off your lovely hair? Eeeek! sounds like a great month, so impressed with 12 inches of hair cut off and donated! What a fun layout...fun colors and design! What a neat way to document life! 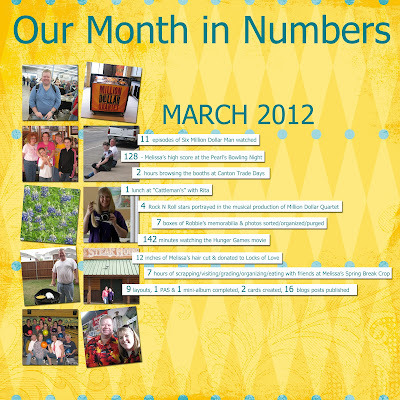 Great page reflecting your fun month. I think I just saw a TV commercial that Lee Majors is going to guest star on something. I wonder how old the Six Mil Man is these days? Love the numbers!! It's such a great idea. The layout is wonderful. I really like the the placement of the photos to the left. Great job! I love the whole concept of this. Beautiful work and a terrific and fun capsulation of the month!